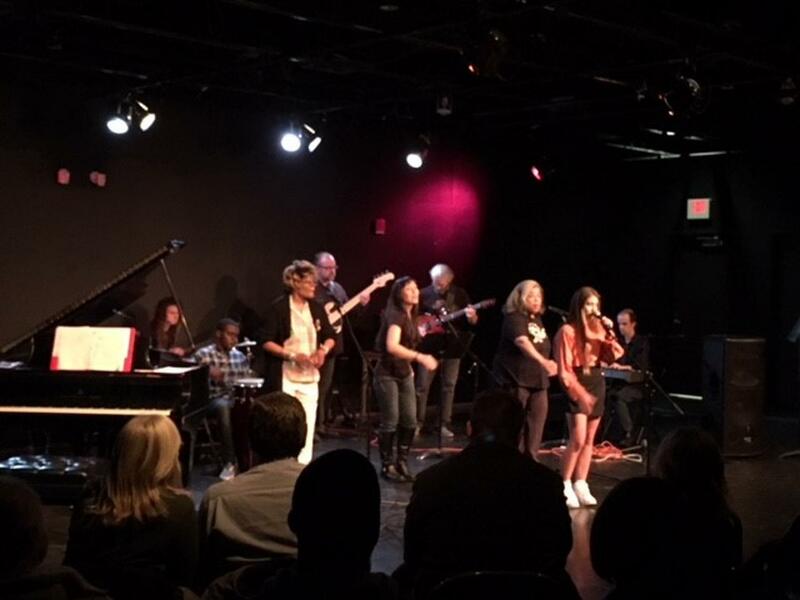 Tri-C boasts a robust schedule of music and theatrical performances year-round, and its theatre facilities on three campuses make the experience rich, both for audiences and performers. 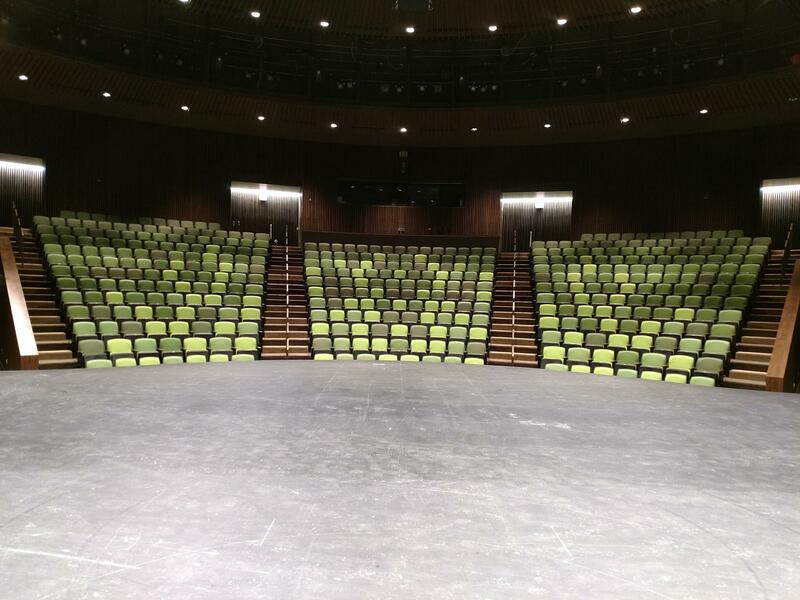 The Fran and Jules Belkin Theatre at the Gill and Tommy LiPuma Center for Creative Arts on the Metropolitan Campus is a small, flexible environment suited for both live events and recorded productions. This location has been used as a TV set and as home to the twice-yearly Creative Arts showcase, Black Box Club. 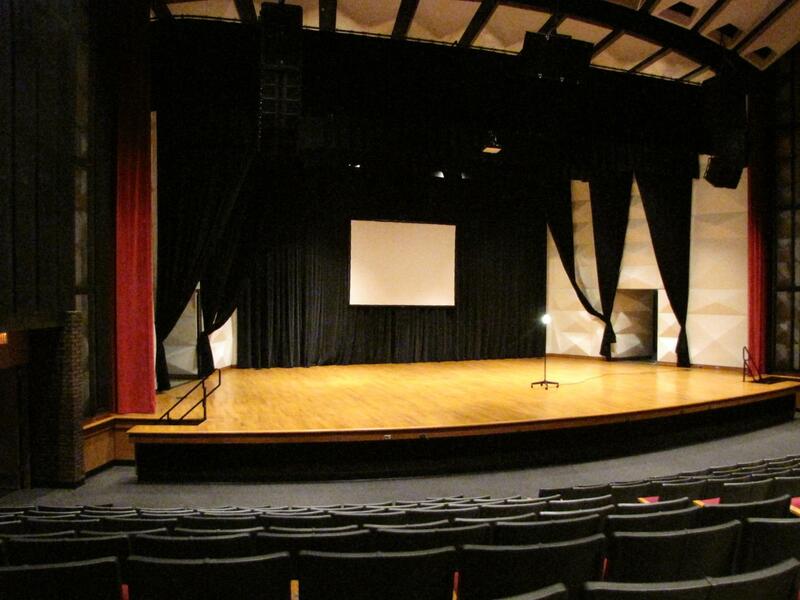 The Auditorium, with its 800 seats has been home to Tri-C JazzFest events and other events. 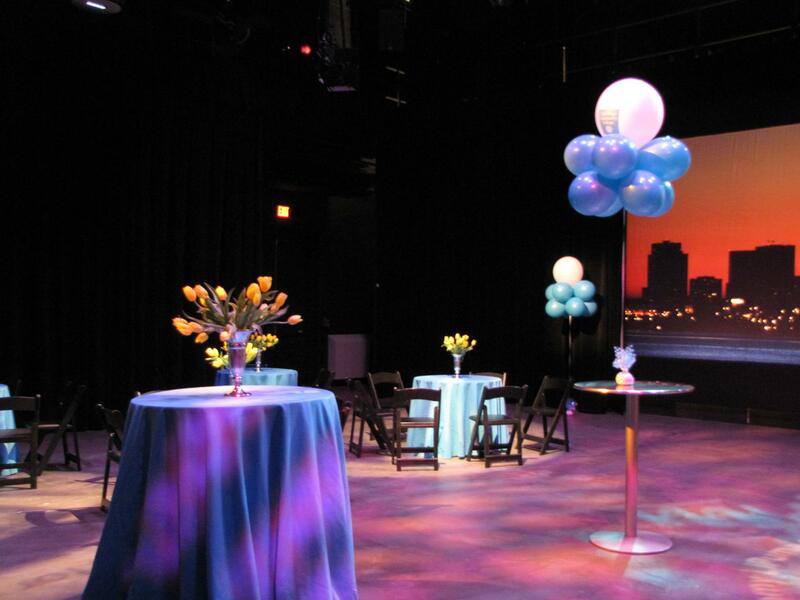 This location features sound equipment that can fully support a big-band performance. 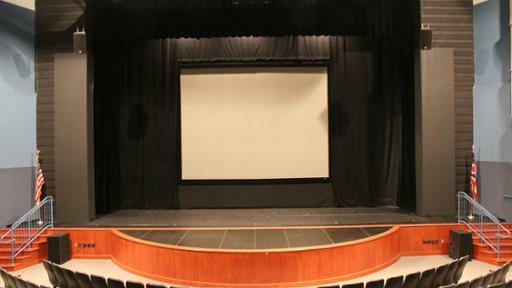 The Mainstage Theatre with 360 seats, is suited for smaller productions and also boasts a sound system that supports any quiet stage play or a big-band performance. The Cleveland Philharmonic uses this space for weekly rehearsals. 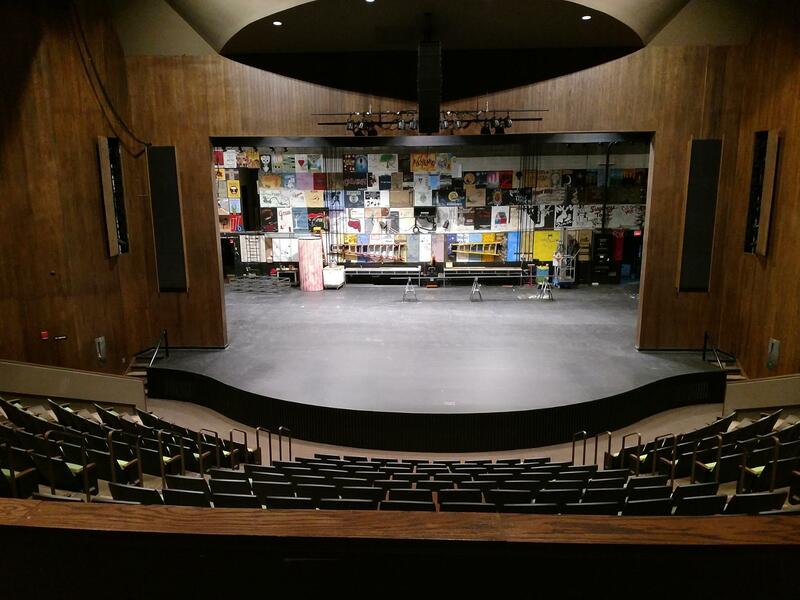 The Studio Theatre: information and pictures to come soon! 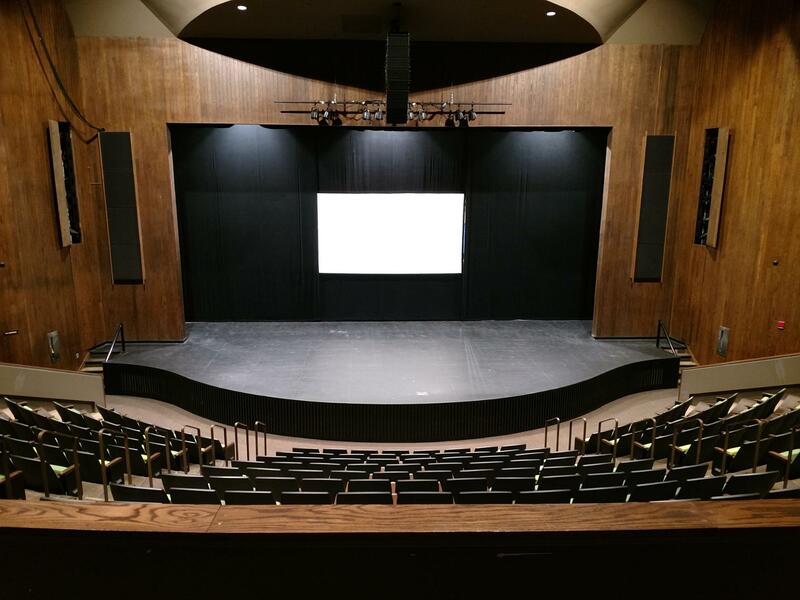 The Simon and Rose Mandel Theatre is a 600-seat theatre set up to provide students on both the performance and technical sides of theatre production the experience they’ll need to be successful in their field. 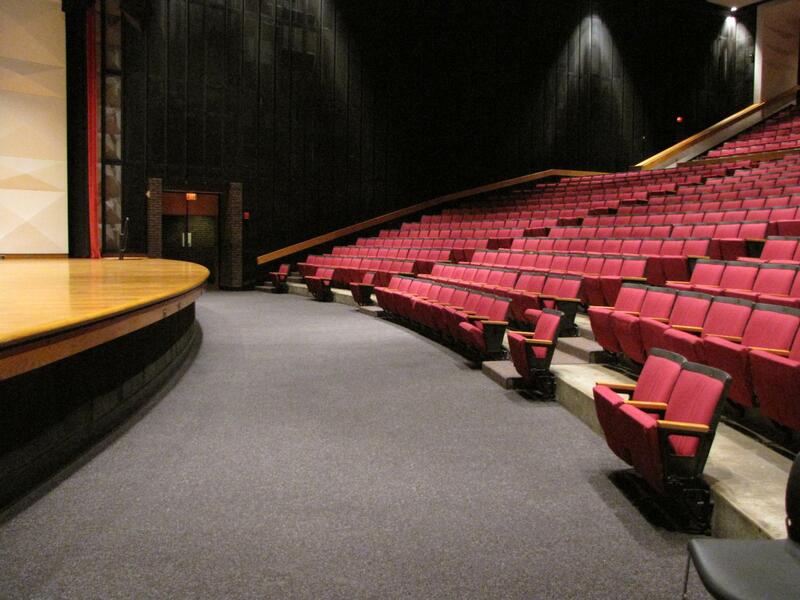 Details about this theatre: This theatre has a Cyclorama backdrop measuring 50 feet wide by 20 feet high. This light weight muslin material takes light easily and can change colors with lighting per the mood of the event or number. The Cyclorama is located at the back of the theatre with a crossover space behind it. 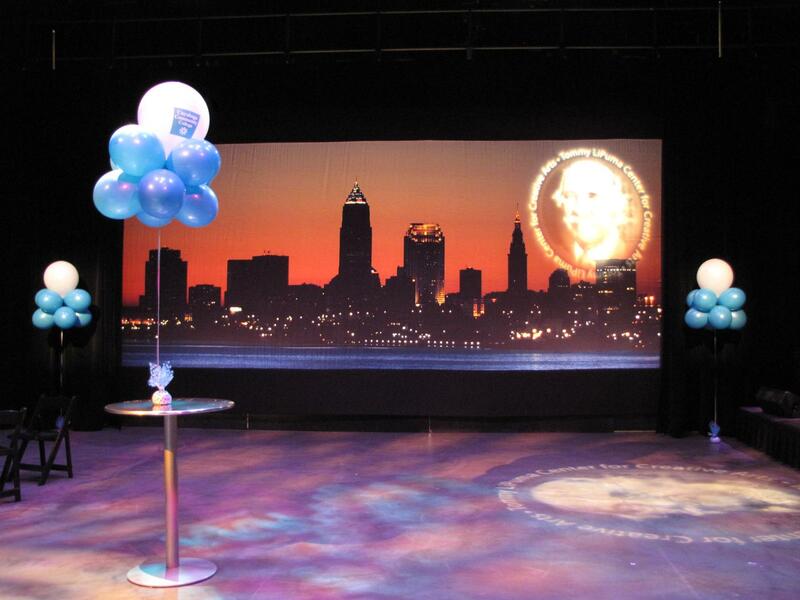 With the Cyclorama in the stage footprint measures 40 feet wide by 40 feet long. 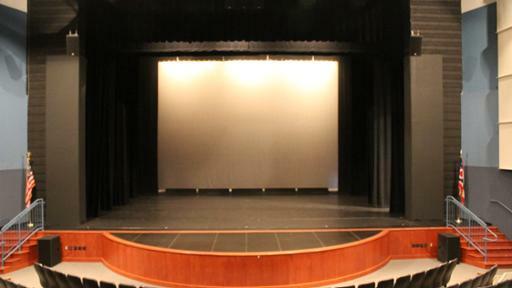 There are four wings on either side for entrances and exits as well as a ten foot apron that can be used as well to bring a production closer to the audience. 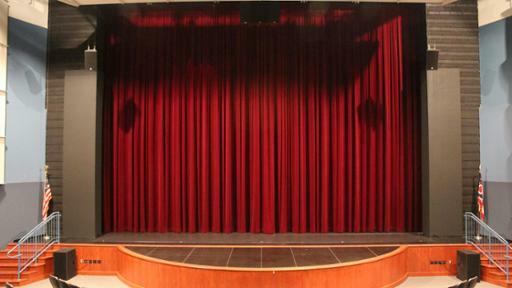 With the Main Curtain in, has a classic appearance for any audience as they come in to take their seats or during intermission. Our plush and full red curtain is 50 feet wide when closed and 25 feet tall. It has the ability to fly in and out or open and close depending on the needs of your event. Please be advised that the Main Curtain can only do one or the other during an event and not both. The Rear Projection Screen (RP Screen) is 4:3 Aspect Ratio, but it can support 16:9 as well. When flown in, the RP Screen is surrounded by black curtains on all four sides to block off the rest of the stage behind it. The useable stage space is 40 feet wide by 10 feet long plus an additional ten feet at the longest point on our rounded apron. This set up is primarily used for podium events, panel discussions and presentations. 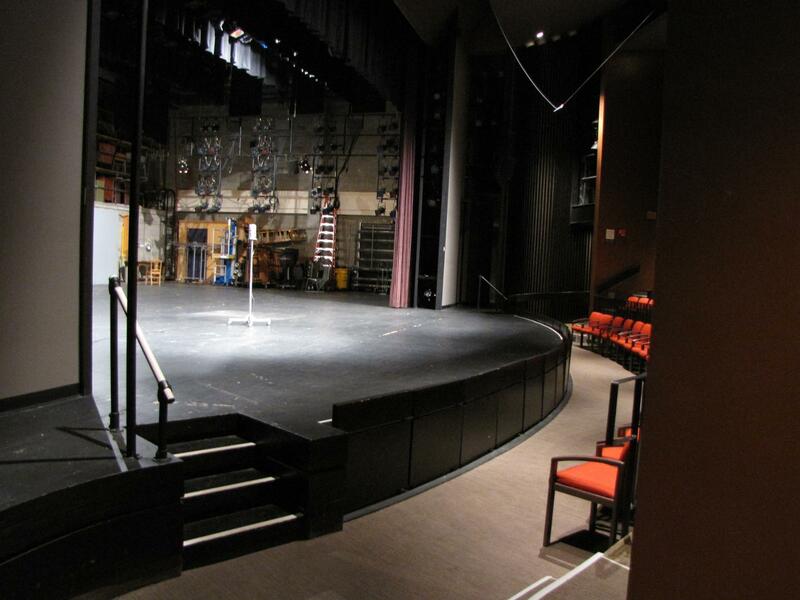 The Studio Theatre is a flexible space, black box theatre used for both departmental productions and as a classroom. It is 48’ x 34’, with a permanently installed lighting grid at 10’ 4”. It can seat up to 60 depending upon the configuration. There is a green room and costume shop that adjoins the Studio Theatre. 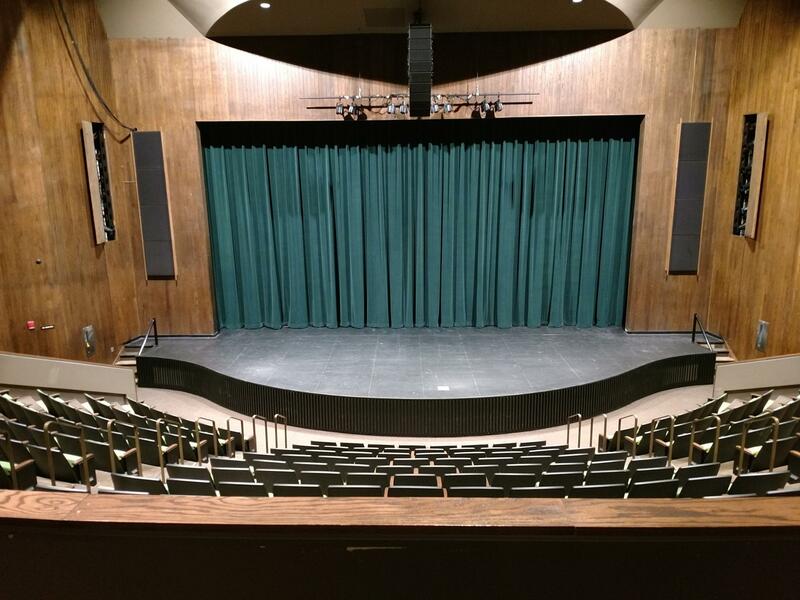 A 450-seat theatre at the Western Campus in Parma (similar to Eastern Campus) is set up to provide students on both the performance and technical sides of theatre production the experience they’ll need to be successful in their field. With acting and imporvisation classes held in the adjacent green room, students have access to the space to rehearse and perform their final scenes.